Resolve Optics reports on how organisations within the Broadcast industry as well as the Medical, Robotics, Machine Vision, Underwater Monitoring and Military markets are all benefiting from its ultra compact Z-10 high definition zoom lens. Available in 1/3-inch, 2/3-inch and 1/3-inch 3-chip formats, Z10 HD lenses provide users with high definition (1080 x 720 pixel) resolution throughout their range of operation. The unique, high performance f/1.8, 10x tracking zoom employed in the Z10 ensures images stay in focus throughout the zoom travel by using novel floating cell technology.The Z10 is also able to focus upon objects as close as 450mm from the lens. The motorised Z10 HD lens is around half the size of and lighter (< 500g) than any other comparible zoom lenses. Mark Pontin, Managing Director of Resolve Optics commented “Though we originally developed the Z10 for miniature HD cameras used by the Broadcast TV industry – the unique combination of compactness, 10 x zoom capability and HD image quality has resonated with applications that require a camera system to be as small as possible whilst still providing top quality images”. He added “Our Z10 lenses has helped provide superb live coverage at the SOCHI Winter Olympics, been used on unmanned submersibles to provide the operator with clear high resolution images as well as providing HD monitoring of surgical procedures and military surveillance operations”. 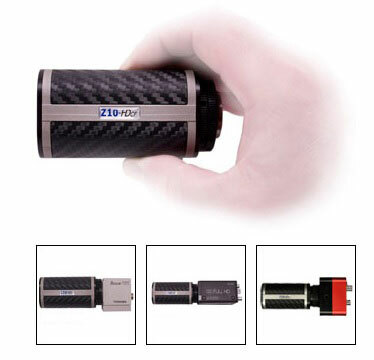 For further information on Z10 HD lenses please visit www.resolveoptics.com/z10-hdcf-compact-hd-zoom-lens/ or contact Resolve Optics Ltd. now on telephone +44-1494-777100 / sales@resolveoptics.com.